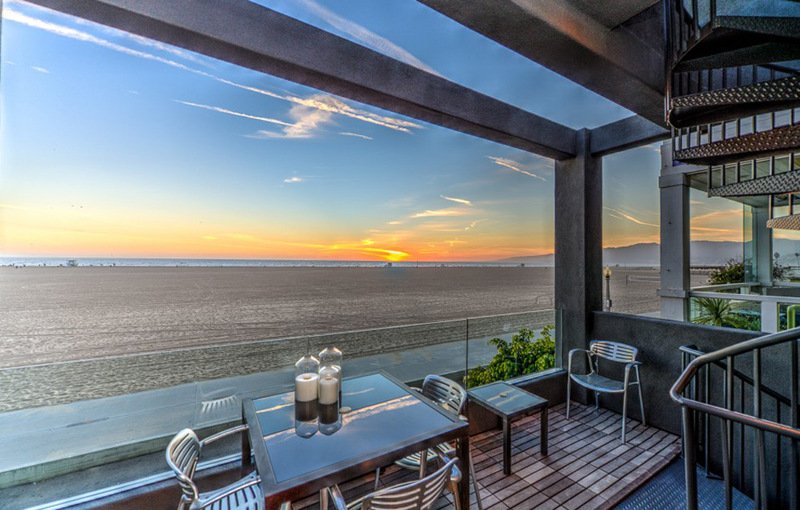 This rare beach house, part of Santa Monica’s Gold Coast, a historically exclusive area just steps from Santa Monica Pier has just hit the market, priced at $5,650,000. 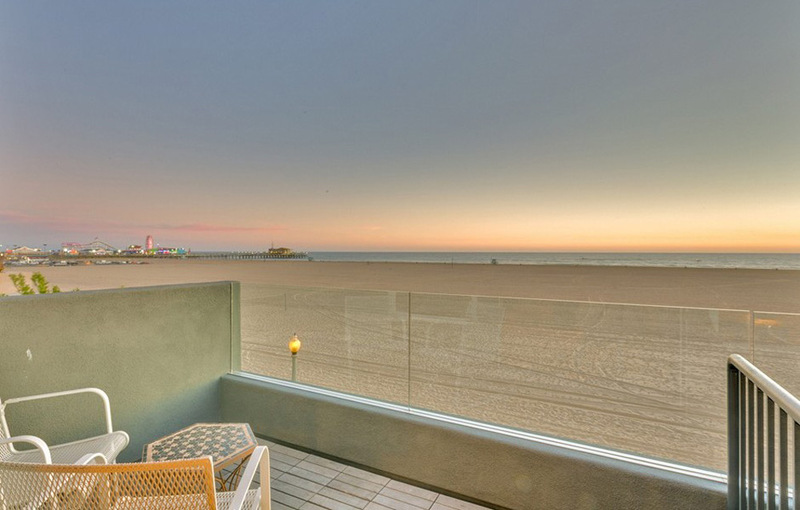 The 4-bed, 4.5-bath home features incredible oceanfront views and an interior with sophisticated upgrades while completely fulfilling the dream of California beach living. 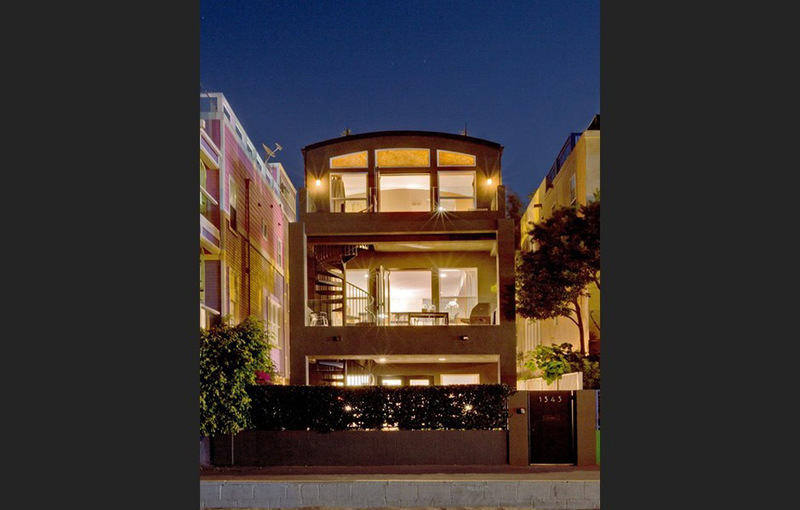 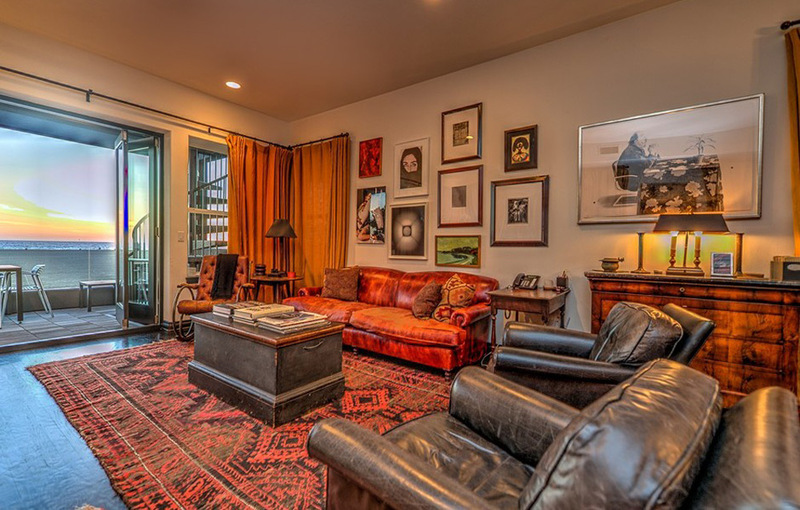 The home also offers easy access to the Venice/Santa Monica boardwalk making Venice and the celebrated Abbot Kinney Boulevard only a short bike ride away. 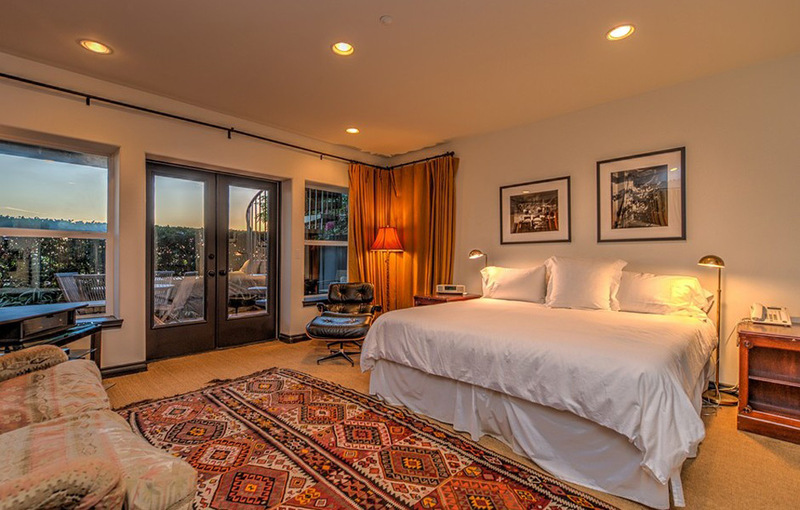 Upon arrival, abandon your car in the direct entrance, attached garage for the duration of your stay–no need for it here. 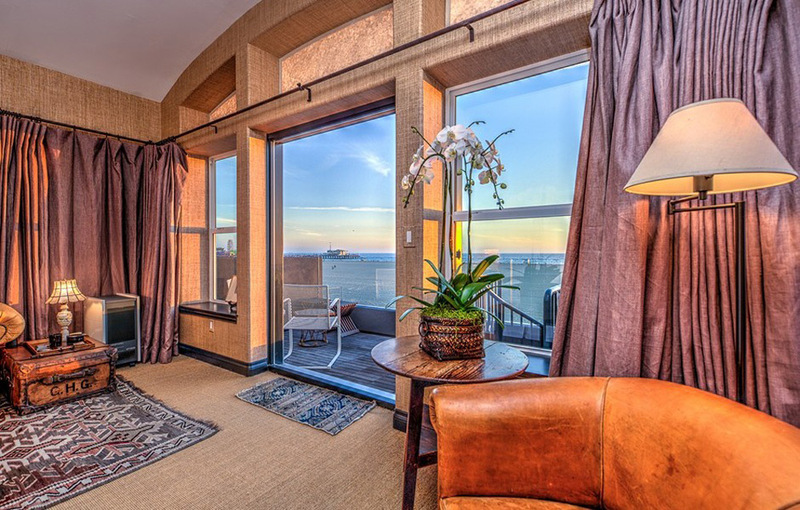 Inside, a large guest suite graces the first floor featuring a full bath and french doors that open onto a patio with direct beach access. 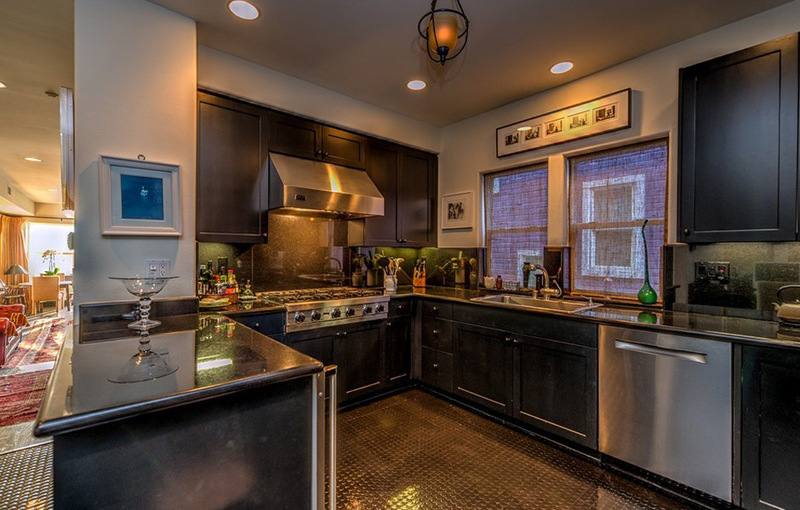 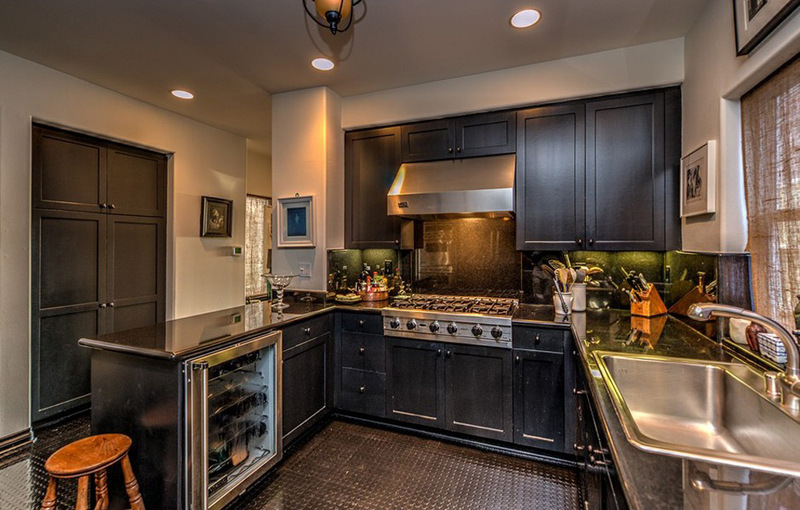 The second floor is home to a gourmet kitchen with Viking range and stainless steel appliances throughout. 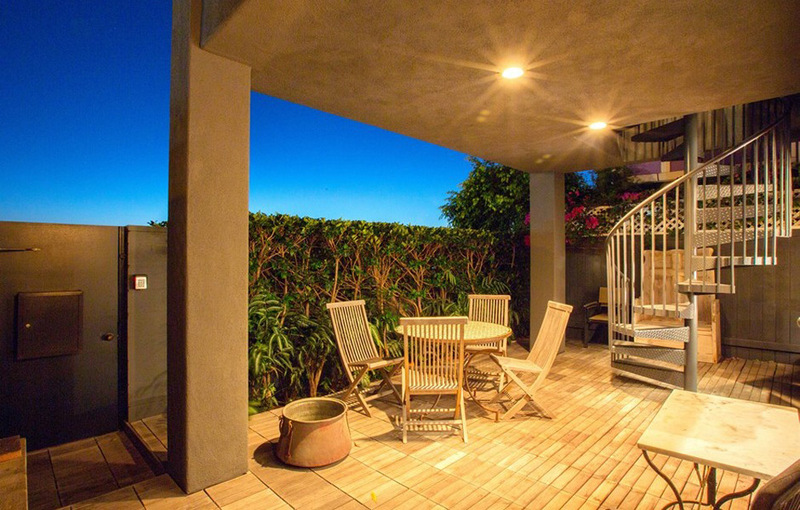 Beyond the kitchen, hardwood floors run from the second bedroom through to the open living room/dining room area and out to a second floor terrace with unobstructed views of the Pacific Ocean. 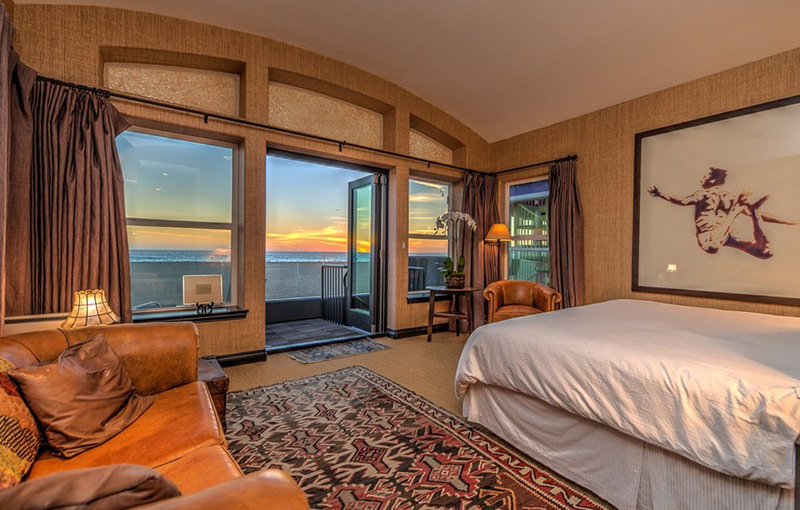 After a long day in the surf, retreat to the third floor master suite which perfectly captures the beach living vibe with grass cloth covered floors and walls. 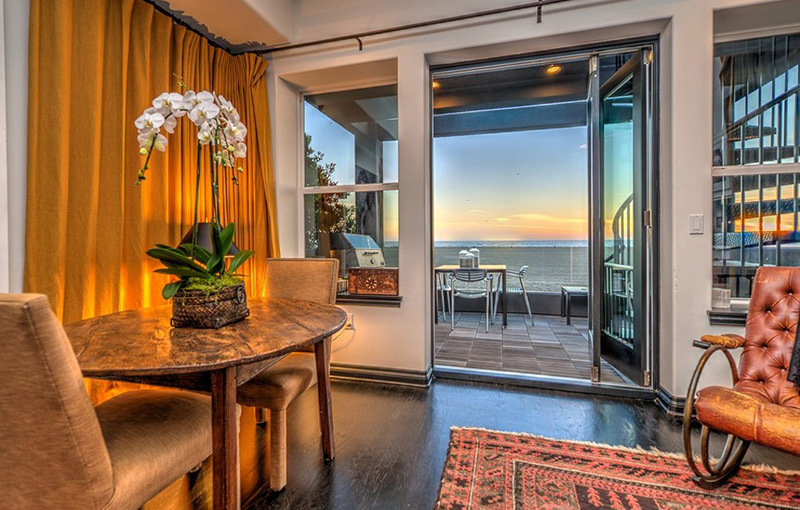 Open the balcony doors and let the sound of crashing waves lull you to sleep. 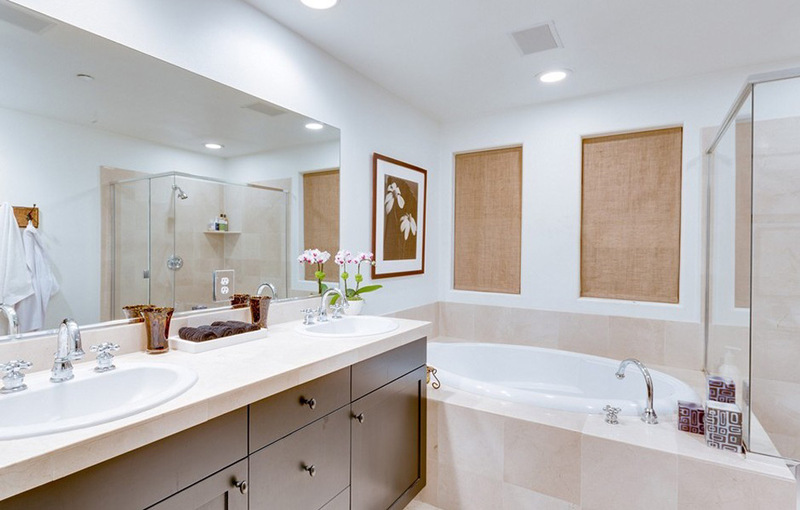 The master suite also features a full bathroom, impressive walk-in closet, custom built-ins and a beverage bar. 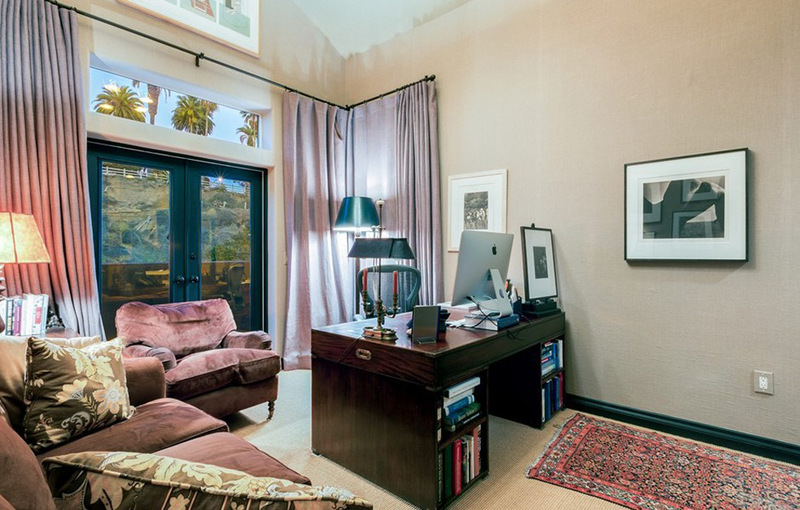 A fourth en suite bedroom makes an excellent office, or additional guest room as needed, and is also conveniently located on the third floor. 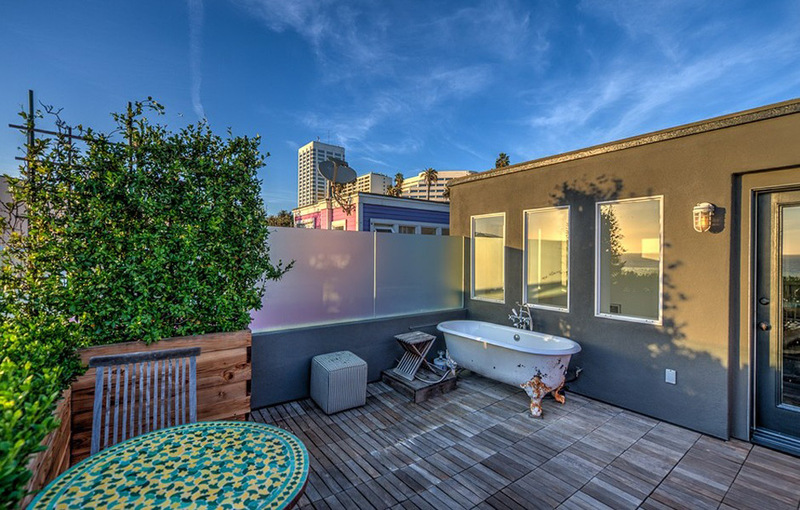 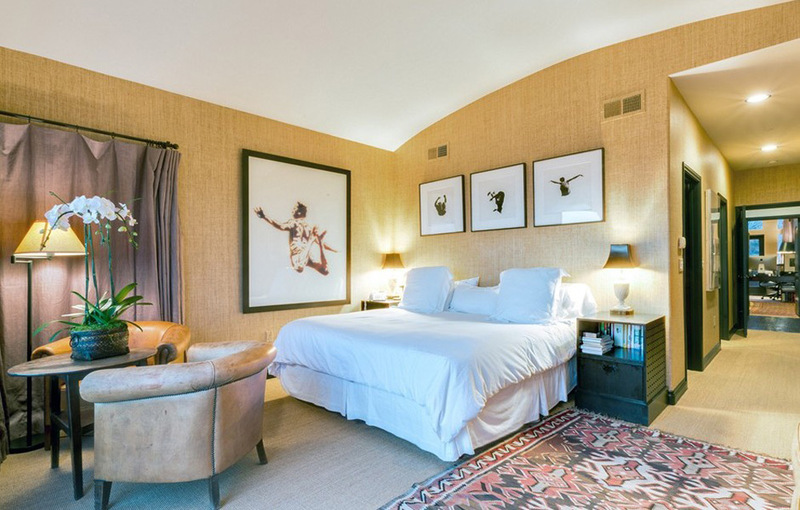 The rooftop terrace features an antique clawfoot tub and offers a perfect space for morning yoga. 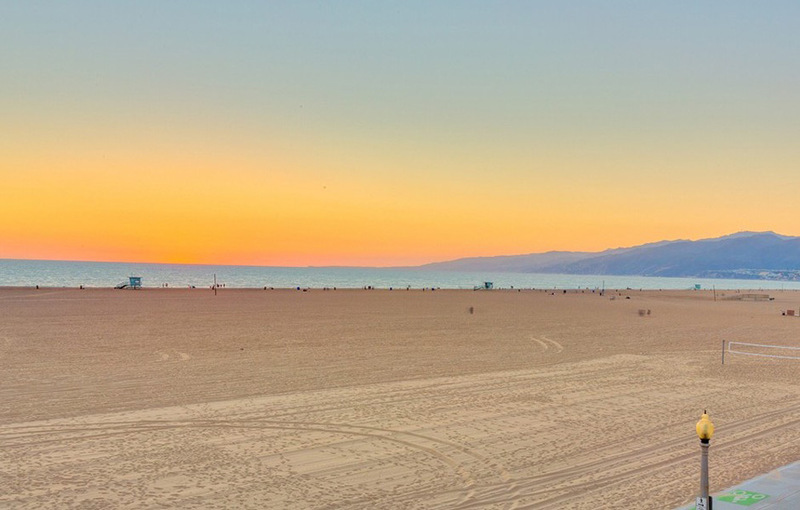 It’s also an ideal place to escape the day for panoramic views, magnificent sunsets, and the lights of the famed Santa Monica Ferris wheel. 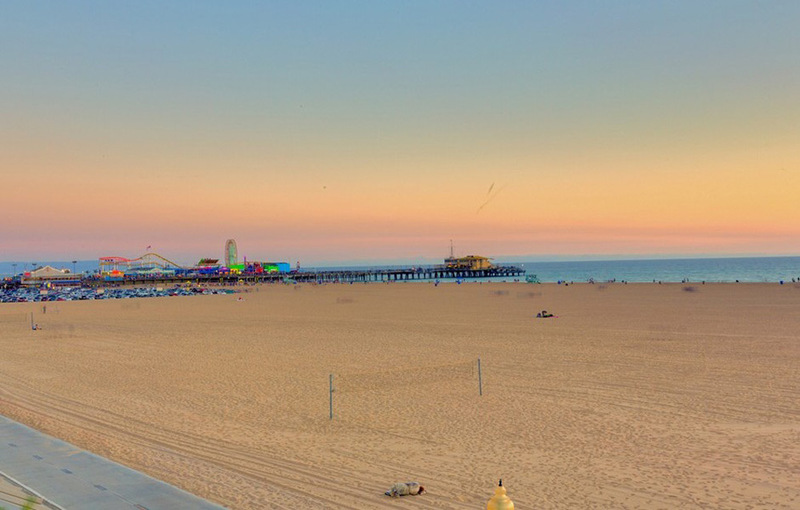 Santa Monica Place and the Third Street Promenade lie a short walk away offering a variety of shopping, dining, and nightlife options.